How to prevent spinal disability? This was the theme of a 2-day Spring Speciality Meeting recently organised by EUROSPINE, the Spine Society of Europe, in Vienna. Spinal disorders are the leading cause for loss of quality of life and disability worldwide. 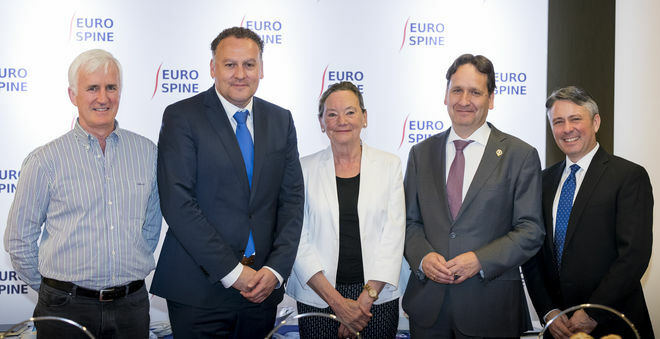 11 NGOs and participants from 28 countries recently discussed prevention strategies of spinal disability in Vienna at EUROSPINE’s Spring Specialty Meeting. Prof. Frank Kandziora, President of EUROSPINE and co-host of the event, was very satisfied with the result. "The event has shown that we have a responsibility for society as a whole. Only together – from doctors, insurers and politicians to researchers – we can manage the global burden deriving from degenerative spinal diseases". In addition to its Annual General Meeting that will take place in Barcelona from 19–21 September this year, EUROSPINE also organises a Spring Specialty Meeting. This always picks up a special topic. In 2019, the meeting will deal with "highly complex spine surgery" and will take place from 2–3 May in Frankfurt.